Rankin Lawn Care delivers customized, flexible, and affordable turf maintenance services to home and business owners throughout the Canton, Akron, Cleveland, and Youngstown, Ohio area. As a locally owned and operated company, you might say that we know Ohio lawn care – we’ve been doing it professionally for over 25 years! 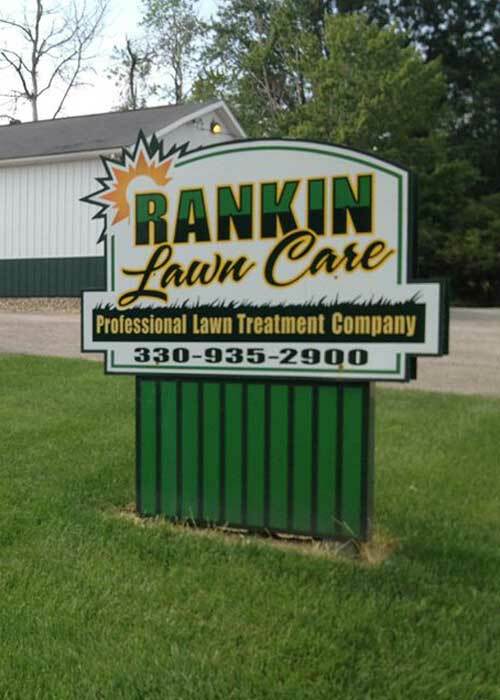 Since 1991, Rankin Lawn Care has used the very latest turf innovations, coupled with our exceptional local insight, to develop effective lawn care solutions that transform properties into strong, healthy, and beautiful Ohio green spaces. We understand that proper fertilization plays a vital role in your lawn’s longevity. Our technicians carefully assess your home or business property to determine soil composition, external threats, and other health risks. 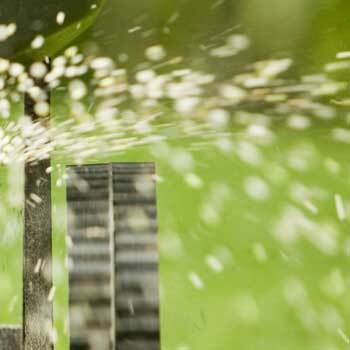 From there, we’ll develop a customized fertilization approach using both liquid and granular applications to achieve the right mix for your property. 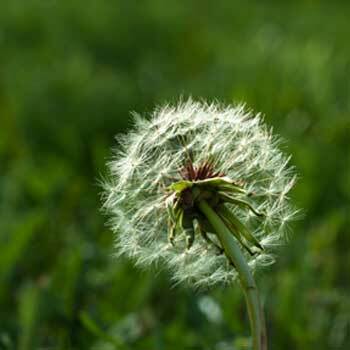 At Rankin Lawn Care we never let the weeds win! Our trained landscape specialists apply a market- leading, environmentally safe herbicide as needed throughout your commercial or residential yard. Rankin’s weed control program eliminates unwanted vegetation for a robust, lush, and thriving lawn. 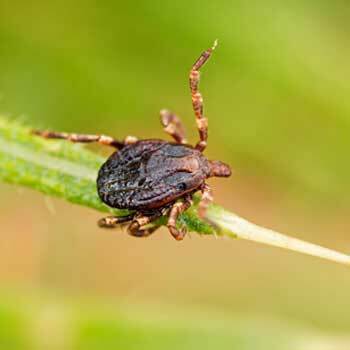 Think the bugs and insects living in your yard are happy with their accommodations? Guess again. As soon as the Ohio temperatures begin to drop, the outdoor vermin start making their way inside your home or office for the winter. 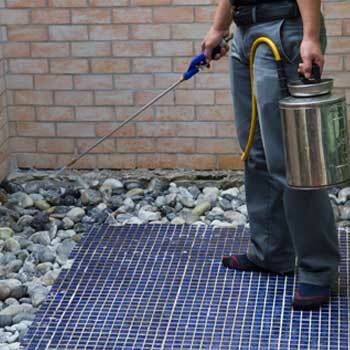 Rankin’s Perimeter Pest Control application creates a protective barrier around your home to help eliminate anything crawling your way. Compacted soil and extensive thatch can prevent essential nutrients, air, and moisture from reaching the soil and root systems on your lawn. 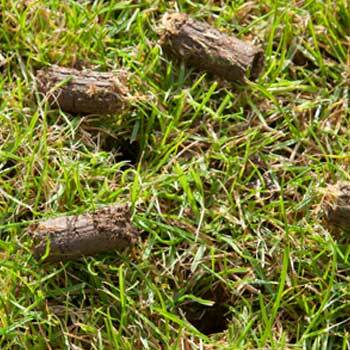 Our core aeration process removes tiny soil plugs to recirculate the vital elements your grass needs to grow and flourish. When we’re done, we’ll overseed to rebuild thin and bare patches and restore your lawn to its former luster. These tiny beetle larvae are small, but they have a giant appetite – and your lawn is their favorite meal. 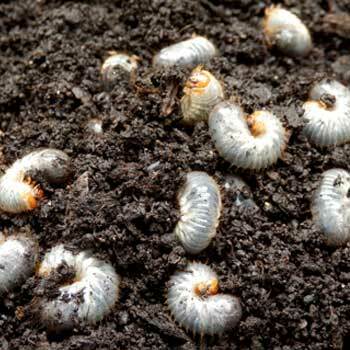 Rankin’s grub prevention solutions eradicate these voracious worms to eliminate their threat on your otherwise healthy lawns and beds. Rankin Lawn Care uses premium, environmentally friendly products, applied by licensed, conscientious technicians to achieve the safest, most successful results possible. We also strive to deliver a convenient, stress-free customer experience from start to finish. Since contracting with Rankin Lawn Care I can’t get over how thick and green our lawn has been. I’d used two other companies that were sub par and tried doing it myself with terrible results. Rankin came in and the second year my lawn looked better than any year we’d lived here. We will continue to contract with Rankin in the future. Thank you for a lush green lawn. I have been using this service for about 5 years and couldn’t be happier. My lawn looks better than it ever has and the tech answers any question I may have. I will continue to use this service and will recommend Rankin to family, friends and strangers. I have been using Rankin for several years now. my lawn looks better every year. The specialists that treat my yard are knowledgeable, informative and friendly. Rankins prices are reasonable and they have a variety of services, from aeriation, to weed control, just to name a few. Years back I used Chemlawn and tru green, but quit for poor and over priced services. I started treating the yard myself. But my yard still didn’t look good. Then I found Rankin. Now I sit and watch from the comfort of my porch while Rankin makes my yard look great. My grass is thick, lush and weed free. No more handling harsh chemicals for me, I leave that up to the professionals…. like Rankin lawn Care. I highly recommend all their services. Give them a call. You’ll be glad you did. My lawn is beautiful. Technician is always cheerful and polite. No complaints, ever. I would not think of using any other service. 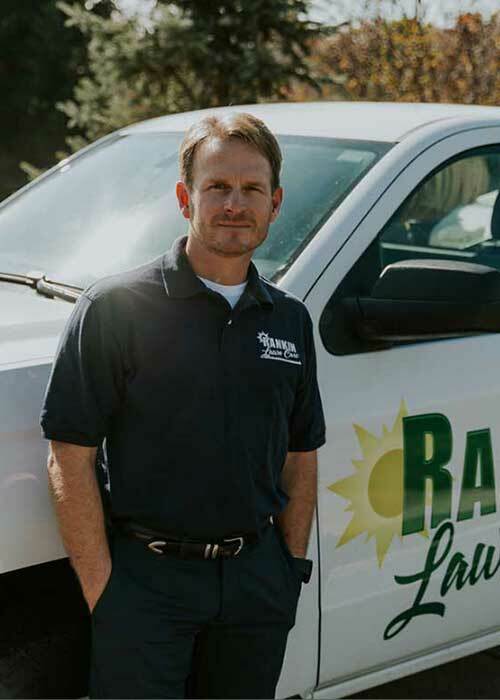 We have used Rankin Lawn Care for several years now and have been pleased with their service. They have always been accommodating to adjust their application schedule to fit our needs and the one time we had some weeds that didn’t disappear like they should have, they came out and took care of them at no additional charge. OK – waiting to see if the weeds actually die. Also hopefully the grub treatment will help control the moles. We are very happy with the service we receive from Rankin. They are always prompt, courteous, and effective. Our lawn is healthy and always looks beautiful. I will give you 5 stars. You do a great job. The lawn looks beautiful. Very professional and friendly personnel. They completed everything that was requested by me. Have recommended them to several people. Quality product for the price. Have used them for 3 years now and will continue to use them. We have used Rankin for our lawn care for over 15 yrs. and they have always been responsive to our needs and concerns. Thank you your good service. We are Raving Fans. Rankin Lawn Care Service has been outstanding. Our acre of grass looks good. They always leave a note as to what they did and what to expect. When we have had issues, a simple phone call to them and they are out to check the issue and resolve it. We highly recommend Rankin Lawn Service. Very satisfied with the services and results we have been getting since contracting with Rankin. Our lawn looks better than it has in several years. The lawn is lush and green however we are plagued with stray weeds in the grass from time to time. Each year we prepay for the service. All shrubs and ground cover are to be sprayed and fertilized as part of the prepayment service. Still need that done. I would recommend Rankin to anyone needing a weed and feed service. We have used the service for the past 5 yrs or more. I have only had my second treatment and can already see the improvement. Keep up the good work. Rankin Lawncare did a fabulous job on my yard last year, it was by far the greenest and healthiest it has ever been. Thank you, keep up the good work. Thank you for your quick response to problems with no questions asked. You just take care of whatever needs to be done. Also, you are very reasonable. You have great service, and a helpful and friendly crew. That is what makes us stay with you. We are please and satisfied with our lawn because of your timely treatments. Also we feel we can count on your service when needed. We look forward to a long relationship. Thank you. My lawn looks far better than last year. I have been very happy. After only 1-½ years of taking care of my yard it looks better than both of my neighbors. Why they won’t leave their current “big company” fertilizing is beyond me. Keep up the good work. I think next year will be even better. We are very pleased with the way our lawns looks. The tech is hard working and always responsive to any of our questions. The combinations of your tech and the results of our lawn are very well appreciated. Thank you. We appreciate the prompt service and attentiveness. When they say they will be here and when, they mean it. They even gave special attention to treating the crabgrass. Thank you! A much better lawn care service than most out there!! You have done a great job making our lawn look good. We will continue to use your service, and will recommend your company to others. Want to hear more? Contact us today. When you do, be sure to ask about our online billing capabilities using a credit card or PayPal – it’s just one more way that Rankin makes service excellence and customer satisfaction our top priorities!